Showing results for tags 'vsp'. So I haven't played on here for a while, but I came back to play some and I noticed that I can no longer find the weapon stats database to see what weapon stats have changed since I last played. Where can I find all the stats? Several players that mainly play on the Texas Server has been wanting to know if these issues have been discussed about and resolved within the Admins to suppress any future problems on the VSP servers. The problem with ping maskers especially those that mask their ping when they actually have 200+ ping while in the Texas servers, Hopefully this problem has been discussed about resolved as being kickable and or a bannable offense? The R rage problem with Pinkie Pie and Braeburn since it can be used in the air during it making the Hale able to freely strafe through the air and get goombas' when the hale itself is supposed to do the taunt as well in which to my eyes is an exploit, Hopefully this has been resolved as a kickable and or a bannable offense especially since exploits is clearly mentioned on the motd. Hopefully these problems has been discussed about within the Admins and resolved with the recommended judgement to them so the people in this forum community that Constantly play on the VSP servers would like the clarified responses on these problems. The Market Garden Challenge! This challenge came into mind while discussing it with Gimpyprime about how the server doesn't have the base market garden item attributes that stock VSH/FF2 has in the items plugin. So while talking about it we wanted to see if there was any decent soldiers that was willing to take on this challenge, Even though the Market Garden does gives you full on crits in VSP, but it's not what the base plugin had intended it to do, it was primarily supposed to be similar to the Spy's Backstab but in the fashion for Soldiers. We also discussed about the weapon restrictions which is mandatory to use if you want to do the challenge, so the following weapons is mandatory for this challenge: Liberty Launcher Gunboots and or Man Treads Market Garden (Absolutely necessary) Now here's the catch, the damage you do with the loadout has to all come from the Market Garden and only that weapon, Goomba's are optional as well if you get them, If you happen to score over 2000 damage with the Market Garden/Goomba's, You can post a screenshot for it in this thread, But you must be in the screenshot itself showing the damage and or hovering your dead body the moment you died showing the damage and the weapon held has to have been your Market Garden. The main reason for the primary and secondary is too reduce the rocket jump damage you'd take if you plan to go for the hits. The primary reason for this challenge is to show that Market Garden shouldn't have gotten it's item attributes changed because it was supposed to be good with the right hands and bad in the wrong hands. If you're planning to participate in this challenge you can not use any other weapons that are not in the list above and you cannot use your primary as a damage weapon itself as well. Also for this challenge, Gimpyprime himself will not be participating in this as it would make everyone else at a disadvantage in Soldier jumping and market gardening in terms of skill level, the damage he did from the previous Soldier related Challenge. Plus this is also a means to have the Market Garden be useful once again on the server with it's original stats as VSH intended it to be, but overall just have fun with this while following the item set rules, i'll be thinking of other interesting challenges to do in the future while discussing it with some veterans from the server. Please keep the following in mind when watching the video: 1. All textures are placeholders!!! 2. BSP portion of the map is almost complete (just missing the rocky base to cover up the basement from the outside). 3. Props have not been added yet. 4. Map has not been configured for Arena_ yet. 5. Airlifts not been added yet. 6. Proper lighting has not been added yet. 7. There will be no elevators! Not so used to starting forum games, but... this one has been spooking through my mind for a while. We all know that VSP is this... pretty silly (and awesome) mod from freak fortress 2, meant as a gamemode for bronies (and anti-bronies) to shoot at (oversized?) characters way more powerful than they have ever been shown (bronies meet fellow bronies, anti-bronies... can shoot ponies :/). But, image if... VSP is actually a canon event, either in the tf2 or mlp-verse (or both)... how would VSP actually have come to exist? What... outlandish situation could have led to ponies fighting the mercs, and the mercs fighting ponies? That, is what all this forum game (hopefully) is about. So, the goal is to write a possible story of how VSP could have come to be. Not definitive (that would be kinda arrogant, unless Raini or Simple write/support it, I suppose) but possible, since... this is just a game after all. Few, ehrm, rules: -You can start in either the TF2 or the MLP-verse. (or break the fourth wall, if you're confident enough) -Any story you come up with should eventually lead to our silly VSP gamemode. -Try to be original. Using certain things from previous posts is fine, but there must be something different. -The crazier, the better! ... as long as it makes perfect sense, of course, in the predefined settings of your story. 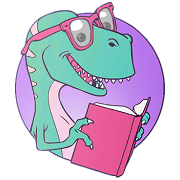 Meaning, your story should be believable, fantastical sure, but not trolllogic-insane fantastical. -Any genre, if they don't break the site rules, is fine... expect trolly ones. Okay, with that all out of the way... may be the best story win get the most likes be the best story! Hi there. Do you want to receive some song requests? It's because I mostly see players not being satisfied about some themes (remixes) in the europe server. What I noticed was that polnish RBD theme but we have different tastes. If yes, please tell me what's the best way to do that like what's required. Is it enough to write a private message to an admin or shall I create a poll? I'd prefer sending private messages since I don't wanna share those themes in the forum. Please let me know how this can be managed. The reason I created the discussion is because you can let me know if you're satisfied with (almost) all themes in the europe server. I know I can change themes myself but it could be easier for everyone. I've seen VSP a way more active years ago but I might be weong. Greetings. The quest for the most balanced hale! Oh, sure, why not... This will be... wait, let me start with something else. Due to the amount of complaints I lately get for playing certain hales (Lauren's opness, NMM's damage/range, r-dash 5000's spam, Celestia's range etc...) I've decided to... well, look for the most balanced hale. I will try to do this based on conversations with (what I think are) experienced players, and what their thoughts are on this matter. So... this will be basically a pet project of mine. I'll list here all the information I find relevant, and try to continiously update this post (if that is even possible). Also, I'm not sure if it's okay to just say from who this information comes from, so... I won't do that, at least not in the beginning. So, without further ado, let's begin. First conversation: Hale should be able to disable, but not stun players. 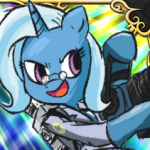 "Communist pony" Starlight would have been a good example... if she couldn't melee while her shield is up (now leading to trapping players against walls for easy kills) or stunning ubers. Also, Iron Will is not necessarily balanced purely because he is the most like the actual Saxton Hale... hale, derp. So... yeah, discuss away, I guess. I'll read the comments, sure (hey, if this leads to a good thread with discussions that stay on topic, with maybe some changes added to vsp in the future, all the better), but I will only add new conversations I have in vsp itself. Just a simple poll to see how many people don't use stock. I always find it curious to see a non-stock sniper, wondering why they prefer their rifle over the stock tracer-giving stock rifle, like Machina's and Sydney's quickscoping all day. If you're on of these people, would you mind telling why you choose a particular primary? So... I basically started this thread to remember (and celebrate) those moments in a vsp round where you played so epically (forgive me for the wording, I'm not that creative), it deserved a place in your personal hall of fame (and maybe, if this thread doesn't immediatly go to oblivion, here as well). If you're not really sure what I'm talking about, I mean moments like... soloing a hale with a kgb, surviving as a medic for minutes in the hale's killzone and asking yourself afterwards how the hell you lived (a personal favorite), dominating a hale with trick- and facestabs, dominating a player as the hale, airblasting the hale into a telefrag, winning as the hale with 1 hp left, and so forth... So it can be moments both and the player and the hale's side, anything goes. So... without further ado, Let The Epicness Begin! Forgive me I couldn't find another way to end this. I was alerted by Medic of Pegasi Woon that non donors are playing as donor bosses when their Donor status runs out..They do this by leaving their last boss pick as a donor boss and thus if they never change it the can play as that donor boss as long as they wan't..
Ok! I got a super cool idea. This is in the raw, but I attend to Make a series of youtube video's on tips and tricks with the server. Well not completely "I". I will need some help. Most of what I could do is make fancy artwork for it. Filming gameplay and setting up key situations during said gameplay. Is where my mind struggles to formulate an idea on how to do this. If you have an idea or want to help out, That would be cool. It would be nice if I could form a team so we can work on this. Friendship is magic and a team can take a fortress ^^ .